Amazing turquoise river, lush green landscape, underwater canyon and twin waterfalls – that’s what made our hike to Brúarfoss truly special. We started it right by Road 37 from a dirt parking lot and hiked along the charming river. 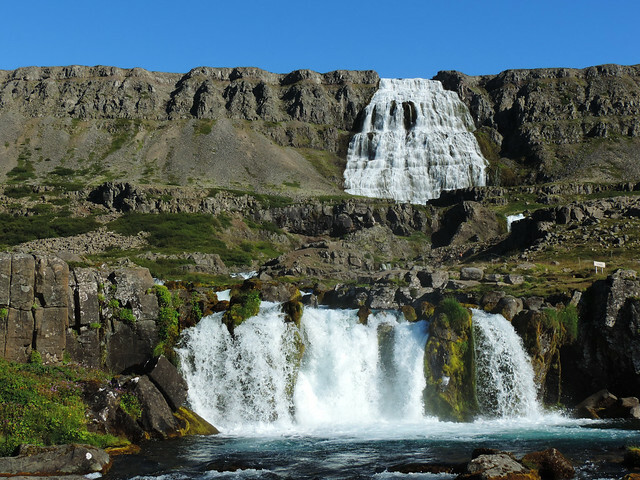 There are 3 waterfalls on the way, the third one is Brúarfoss and it’s the real highlight with a small canyon between the two twin falls. Though it’s not part of the ‘traditional’ Golden Circle tour but we could only recommend to add it to your Golden Circle itinerary. Skaftafell National Park became a part of the newly established Vatnajökull National Park in 2008. This region dominated by Skaftafellsjökull glacier and Morsárdalur valley offers countless hiking trails – easy and more difficult, short and long ones. 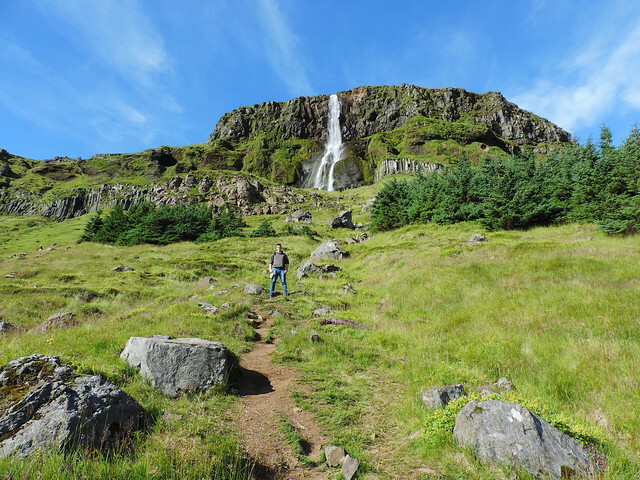 The best introduction hike to Skaftafell is probably the short trail to Svartifoss. 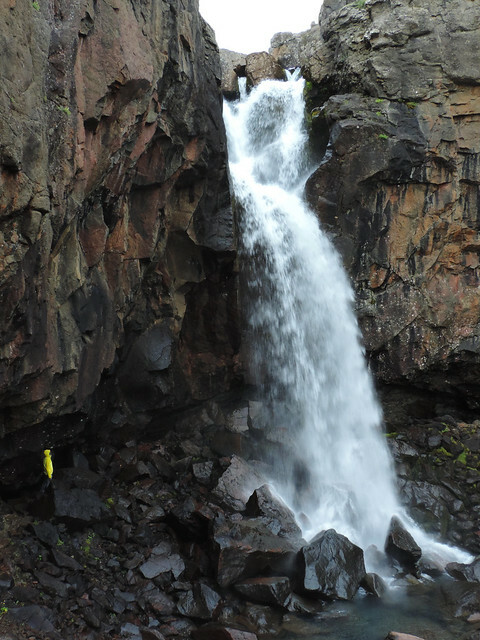 The 20 meters tall Black Falls was named after the surrounding dark lava columns that make it a memorable sight. They say that these basalt columns inspired the design of Hallgrímskirkja church in Reykjavík. 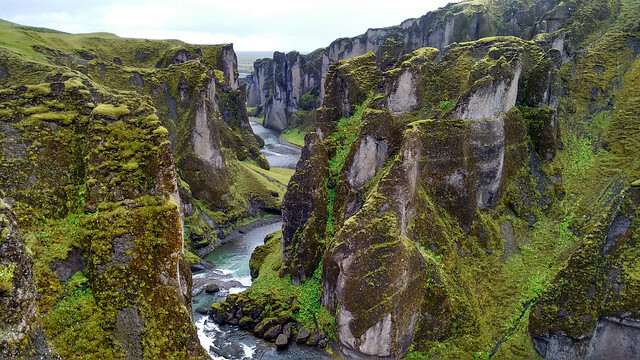 Fjaðrárgljúfur is an easily accessible and photogenic 100 meters deep canyon with a lovely waterfall in addition. 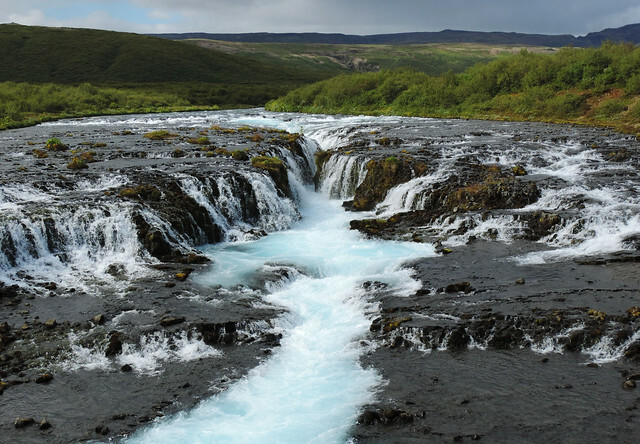 (A lovely waterfall can usually be found nearby wherever you go in Iceland.) There’s a well established trail along the edge of the canyon and some viewing platforms give safe access to the stunning views. You can go down into the canyon, as well, but be prepared to get wet if you want to walk inside the canyon. 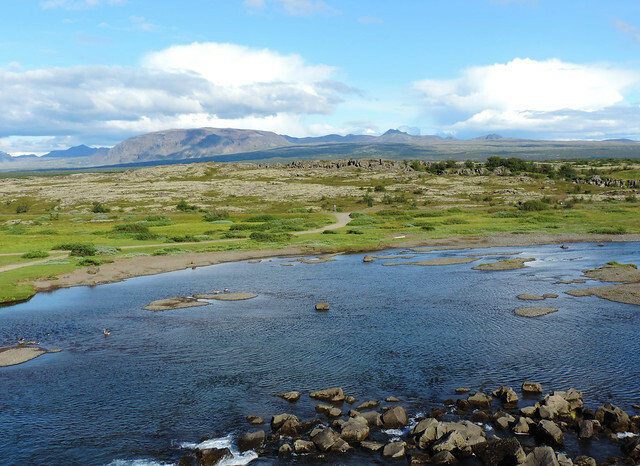 Þingvellir National Park and especially the gorge of Almannagjá are the most important historic sites of Iceland. The first Icelandic parliament was founded here and assembled in each summer until the 13th century. 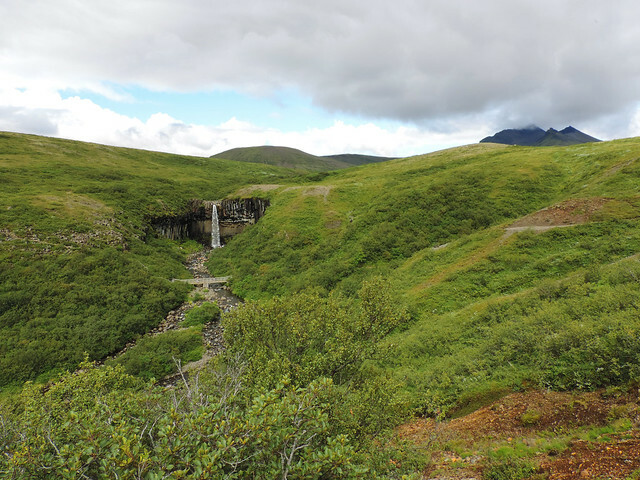 The trail starts at Öxarárfoss (yes, another waterfall) and several viewing platforms are established on the way to offer views of the surrounding landscape. Glymur is one of the highest waterfalls in Iceland and it can be accessed by a short scenic hike. It’s maybe short but quite steep and it’s for the adventurous. The steepest sections are secured by ropes and there’s one river crossing on the way. We read that there’s a seasonal bridge in the summer but as it turned out it means that we can grab a rope while crossing the ice cold river. Reykjadalur means Smoke Valley and it’s the closest geothermal area to Reykjavík. We saw hot springs, mudpots and steaming vents on the way but what we loved the most is the hot river. You can have a bath in this small river and if you think it can’t be cooler than this let me tell you that we could even adjust the temperature of the water. The upper you walk the hotter the water becomes. Simple and stunning. Arrive early though if you want a chance to find free parking spot at the trailhead. Bjarnarfoss is our favorite waterfall on Iceland’s Snæfellsnes Peninsula. 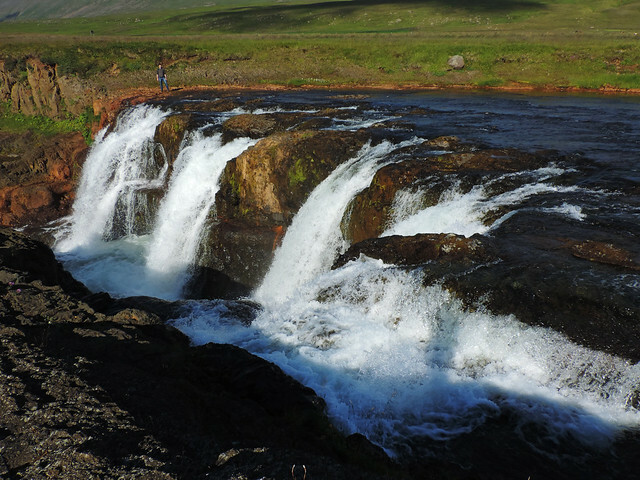 (Of course, I am lying, but Bjarnarfoss is one of those few waterfalls we encountered on this peninsula that we know by name. 😛 ) It’s surrounded by large cliffs and magically green landscape (in summer) and it flushes in front of amazing basalt columns. Bjarnarfoss can be already seen from Road 54 but you need to stand right in front of it to appreciate it fully. There’s a short walking path up to the waterfall and it took about an hour for us to get there and back. In our opinion Látrabjarg is the most fascinating coastal hike in Iceland. The trail runs on top of the high cliffs and it doesn’t only amaze with ocean views and wildflowers. 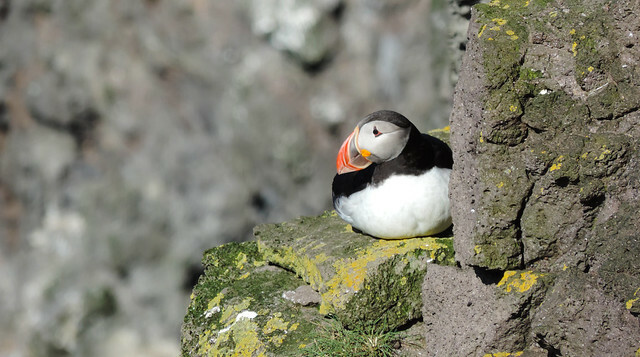 There’s high chance you can spot puffins, too. They are more common on the smaller islands surrounding Iceland, but the high and steep cliffs of Látrabjarg are exceptions. Why is it such a highlight? I mean, take a look, puffins are the cutest birds on Earth, aren’t they? 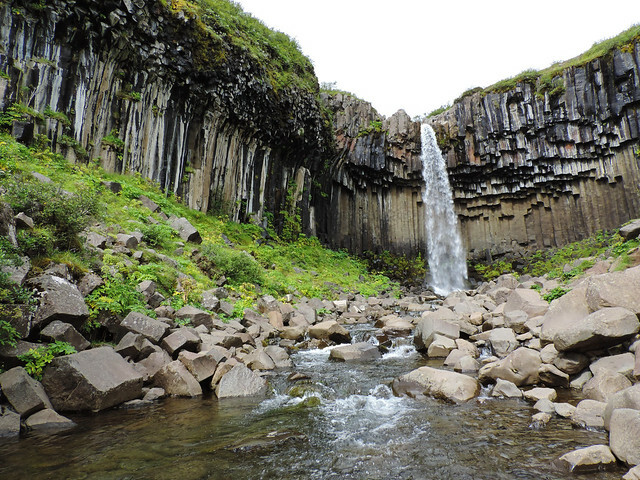 Dynjandi is the largest waterfall of the Westfjords and probably one of the most symmetrical waterfalls in Iceland. Moreover it’s just one of the 7 waterfalls right after one another. So this short walk from the parking lot up to Dynjandi will amaze any waterfall lover. The panorama of the fjord below is just the icing on the cake. 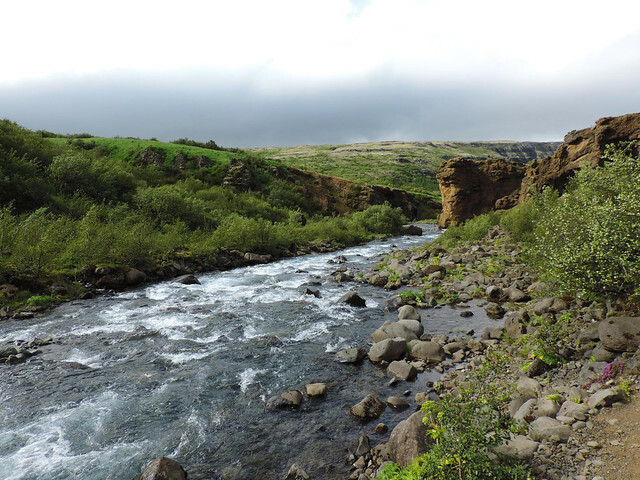 Kolugljúfur is a 1 km long and ~25 m deep gorge in the river Víðidalsá. It’s just a short detour from the Ring Road when you drive to Northern Iceland but it’s well worth a stop. Short paths led us to different viewpoints and we could even hike down to the bottom of the canyon. Most of the paths are easy and there could be no complaint about the views: lush green canyon with some dramatic cliffs and nice waterfalls. 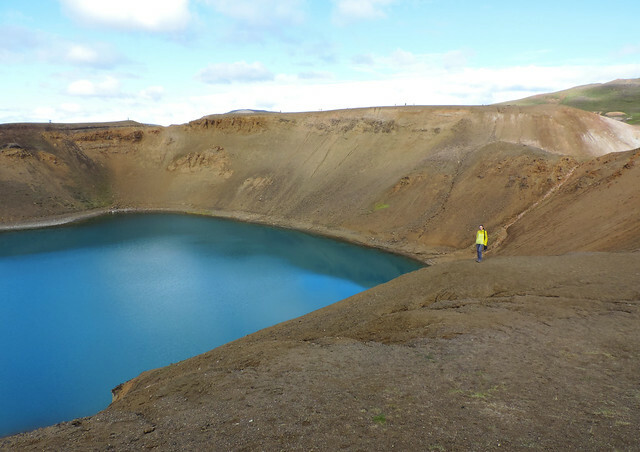 Iceland has it’s own crater lake and you can have a lovely walk around it. The trail runs along the edge of the crater so that we had a view of the magically blue lake all the way. Víti Crater is close to the famous Hverir geothermal area and it’s just a short detour from the Ring Road. 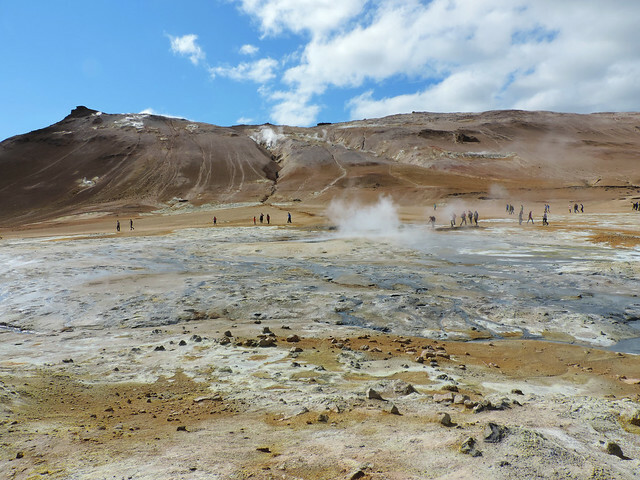 Hverir is a place that feels like another planet. Everything is yellow, brown and red. Bubbling mud. Steaming vents. Rotten egg smell. The trail through this geothermal area gave us a good impression of what active volcanism means. We did the longer loop and though it included some short steep sections but the view of this colorful area from above was absolutely worth it! We remembered how much we loved Yellowstone National Park. Well, there we were at a miniature Icelandic version of it. 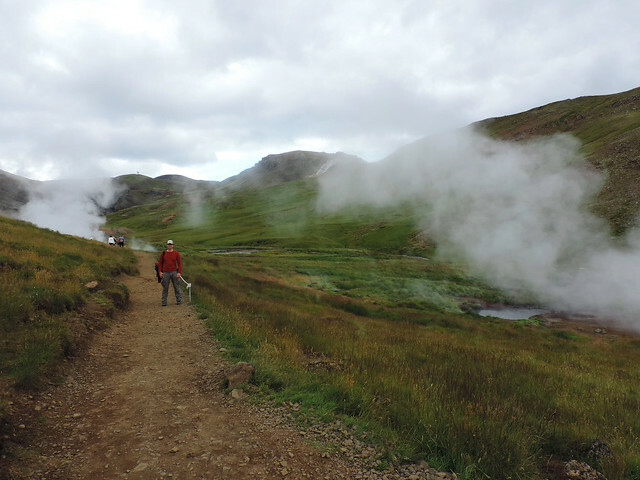 We should also mention that geothermal areas are places where it’s only safe to walk on established trails. You have no idea what’s under your feet and no one wants to end up in a boiling hot pool, right? So Hverir would be the coolest geothermal area in Iceland if Leirhnjúkur wouldn’t exist. But it very well does. And walking the loop trail around its dark black lava field made us feel like visiting Mordor from the Lord of the Rings. Or another planet. Several smaller volcanoes, milky hot pools and countless steaming vents add to the experience. 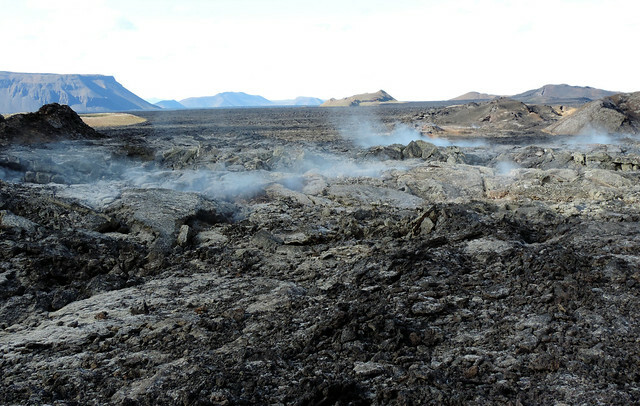 Actually, the steaming vents made the impression that the lava itself is steaming. It’s not. Nevertheless it’s the kind of place where you want to stay on the established trail so that your shoes doesn’t melt. Aldeyjarfoss is one of Iceland’s lesser known waterfalls – partly because you even have to drive a short 4WD section to reach it. 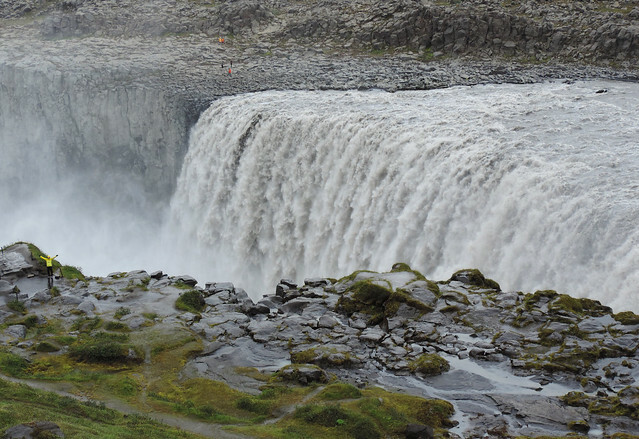 Otherwise it can easily compete with the beauty of the famous ones – like nearby Goðafoss – just without the crowd. We spent there like 2 hours on a summer evening and we were completely alone. There’s a short trail to the waterfall from the dirt parking lot. It knocked us off our feet right away: the vast amount of water, the unique basalt formations in the canyon and the late afternoon sunshine that illuminated the whole landscape (at around 10 pm, by the way – yeah, it was in summer). 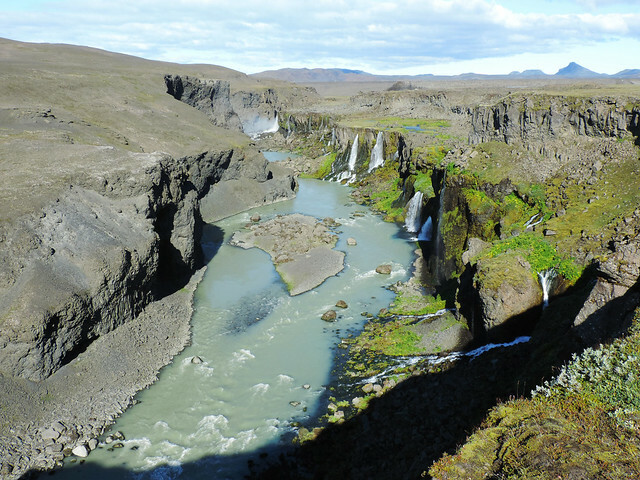 Jökulsárgljúfur canyon is famous for its powerful waterfalls and Dettifoss is the most powerful of all. Actually, being on the wild glacial river of Jökulsá á Fjöllum it contains more mud than water. Still it’s amazing! It’s nickname is “The Beast” and it really roars like one. 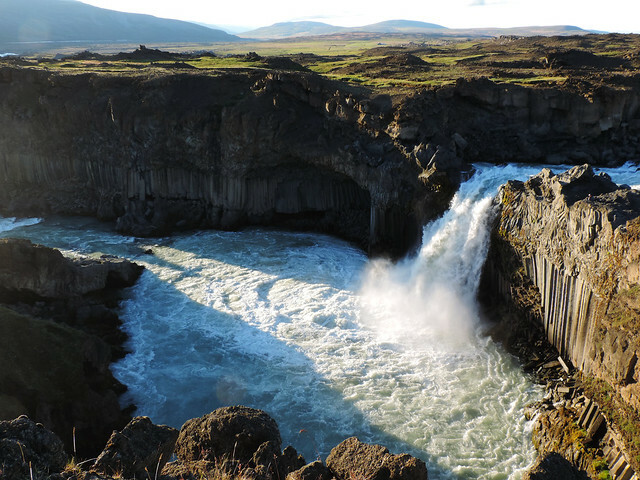 It can be accessed by a short walk from the parking lot and not far from it there’s another gem of Jökulsárgljúfur: Selfoss, a smaller waterfall with calmer temper. 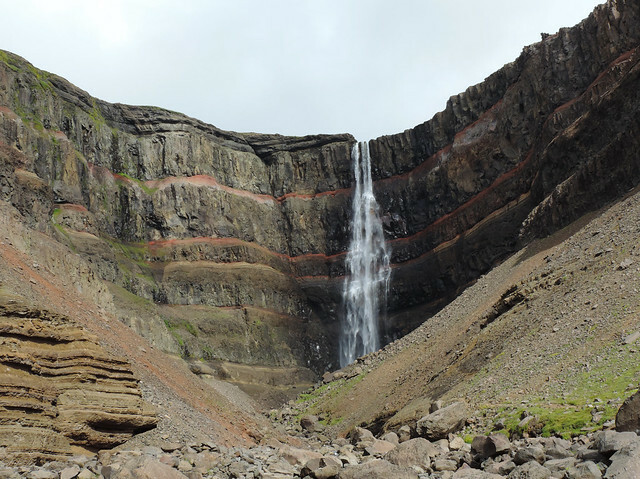 128.5 meters tall Hengifoss is among the highest waterfalls in Iceland and its specialty is the layers of red clay sandwiched between layers of basalt. 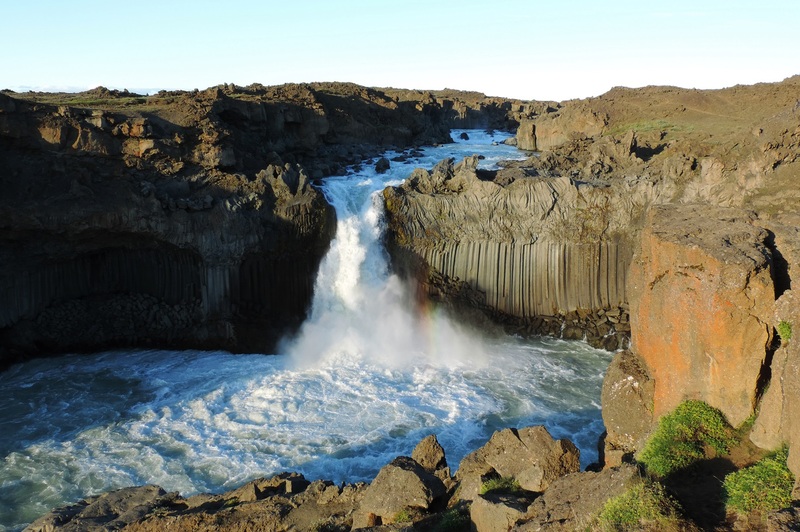 Moreover, we could greet its sibling on the way: Litlanesfoss, a smaller waterfall decorated by basalt columns. Fardagafoss is at the end of a short scenic trail that offers views of Egilsstaðir and Lake Lagarfljót in Eastern Iceland. You could almost walk behind the waterfall but be prepared to get wet if you choose to do so. It’s always so much fun though! Of course, there’s a gratis waterfall here, as well: Gufufoss that was once a hiding place of a female troll. Did you know that trolls are from Iceland? Mount Snækollur is the queen of Kerlingarfjöll mountain range in the Icelandic Highlands. With peaks at ~1460 meters it’s covered by snow even in August. The climb to the peak was fascinating all the way but we got the best panorama from the top. Have I already named our favorite geothermal area? Well, that was a lie. Because it’s Hveradalir. 😛 It’s the kingdom of steam and snow and large red hills. Though you won’t find hot pools there but things are boiling and bubbling and part of the hills looks like it’s rotting. 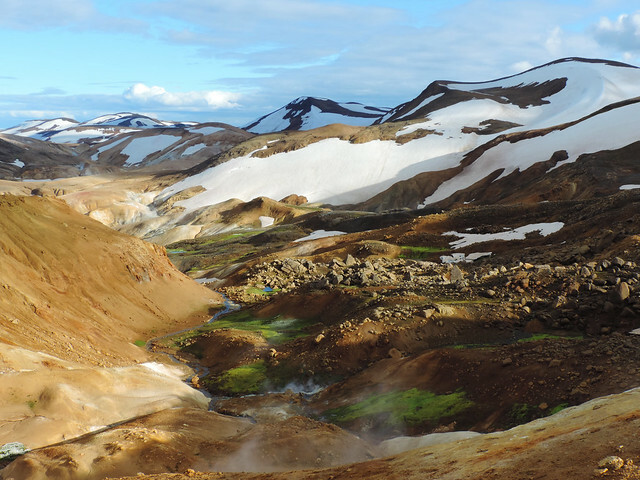 Several shorter and longer loops lead through this otherworldly, impressive landscape surrounded by the Kerlingarfjöll mountains. Anything we missed? Don’t hesitate to share your favorites in the comments!